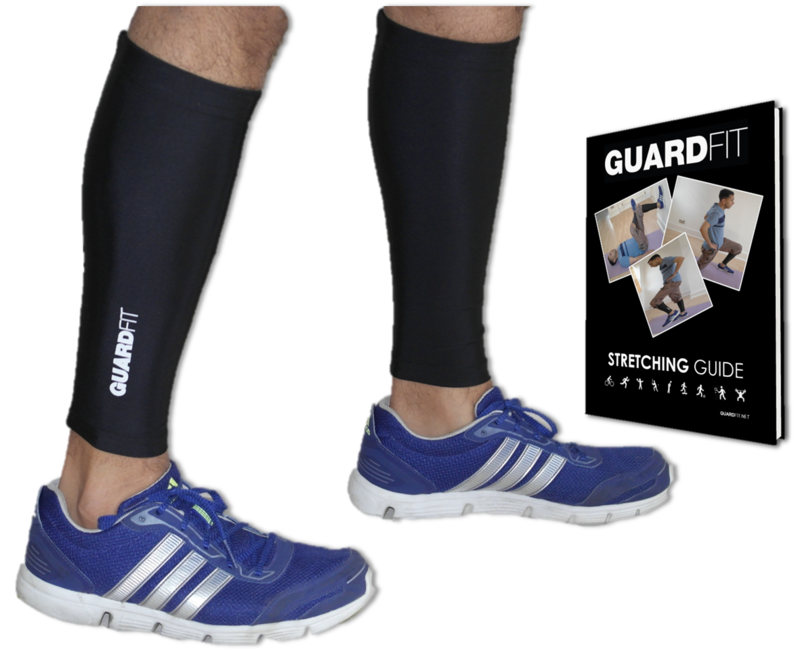 GuardFit Sports calf compression sleeves are a great addition to any workout! They have a great fit on your calf and really help improve circulation while you are running. I loved the material they are made out of. It’s soft on the skin and is high quality so you don’t have to worry about tears or damage to them. They really make a difference when you are running and you can really feel the muscle improvement due to the compression on the calves. Compared to other compression sleeves I really liked the quality of these products and felt they had a great design and helped my performance more then products I have used in the past. I highly recommend these if you are looking for a good quality compression sleeve. FREE STRETCHING GUIDE E-BOOK is included with your purchase, this brilliant guide covers a variety of stretches to help you stay mobile and flexible in all aspects of life. These simple stretches can be done anytime and can especially aid with recovery after a workout. TWO SLEEVES ONE GREAT PRICE – GUARDFIT really want to ensure you get the best out of this product without having to pay a fortune. We want to ensure 100% customer satisfaction and will provide a money back guarantee for up to 90 days if you are not satisfied. You are also covered by our iron clad 1 year warranty in case of any manufacturing defects. So what are you waiting for click buy it now to get the quality experience of GUARDFIT products.